Bjork is one of the most unusual and gifted artist working today. I have been following her career for over 25 years, and she never disappoints. 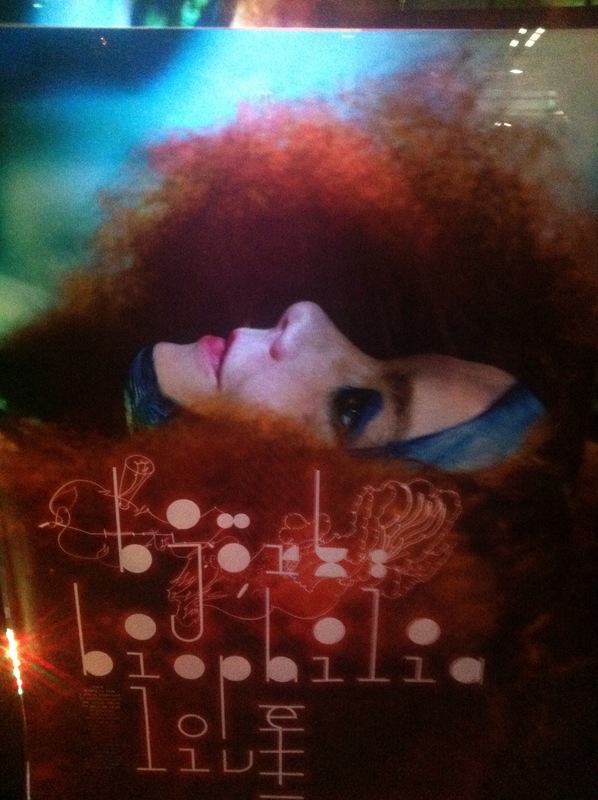 Biophilia – Live captures the final show of her two year world tour. It’s more than just a concert film, it continues Bjork’s exploration of music, technology and nature. I was lucky enough to attend her show last year at the Hollywood Palladium. While I enjoyed the concert immensely, because of the stage set up, I couldn’t see much of what was going on with the musicians and choir on stage. This movie expanded my appreciation of their work. Bjork designed specific instruments for this album and to see world class artist create the sonic masterpiece is quite a treat. I would love to see a short film just on these unclassifiable devices. There is a companion documentary “When Bjork met Attenborough” , which is next on my to view list. It delves into the making of Biophilia and really explores the connection to music and nature. This entry was posted in Reviews and tagged Alexandra Palace, Biophilia, Bjork, David Attenborough, Nick Fenton, Peter Strickland. Bookmark the permalink.